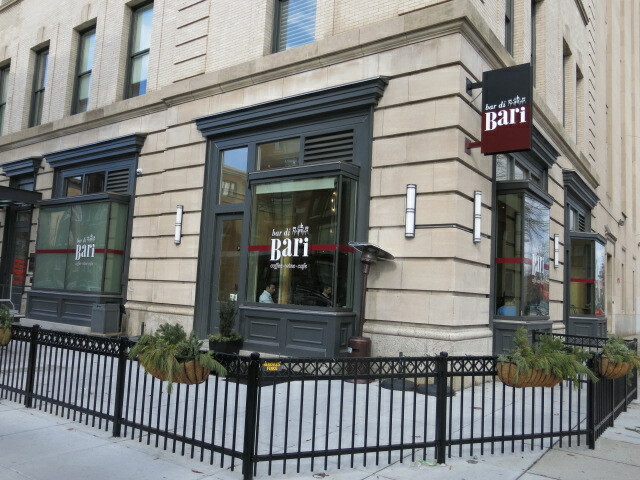 “First, sounds like Bar di Bari will be closed as of this weekend (Sat or Sun, not sure which). The food offerings would seem to confirm this, since the case is damn near empty at the moment. More interesting than that, however, is what Bar di Bari will become. When you last announced the name for Gordon’s new concept for the location, I laughed when a few of the commenters wondered whether “Red Light” was “a wink at what Logan used to be known for.” Turns out I shouldn’t have laughed – after having the luck to be sitting in the cafe while Gordon had a very overt design meeting with what I presume to be his architects/investors/etc. earlier this week, turns out that’s exactly the idea they’re playing off: a brothel-themed food space, with actual red lighting and faux-chic-come-amorous seating, including plush club chairs.